There has been a lot going on right now in our lives. I'm not cooking for pleasure right now. Yet, I know I will. Again. It's how God has wired me. This Beef Ragù is about as simple as leftovers can get. 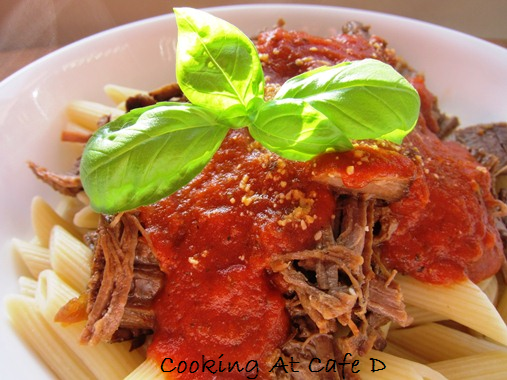 Take some Cider Braised Beef from our Low, Slow and So Worth It series and top with your favorite marinara sauce. If you are lucky enough to still have some basil growing in January, then you can add that, too. You know, this begs the question...can it be a series if right now there is only one recipe? Oh, well. It is what it is. I was lucky enough to have made recipes in advance so I have pics on hand for some recipes. Well, I'm sure the series will grow. What is your favorite leftover meal?